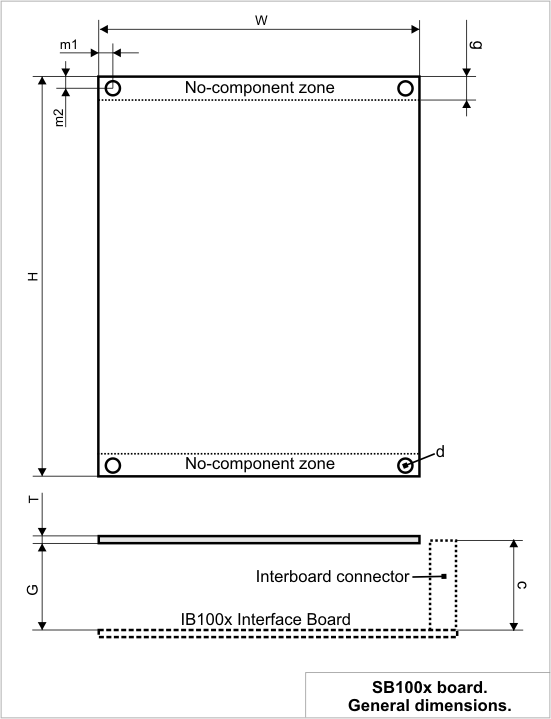 The supplementary board ("SB") has the same height as the interface board ("IB"). The "SB" is narrower -- its maximum width is limited to 67mm. The limit is due to the interboard connector protruding from the side of the "IB". The "SB" does not have to have the maximum width -- it can be as short as permitted by the design. * This is the standard gap; it will "happen" automatically when the boards are used inside the DS10xx housing.